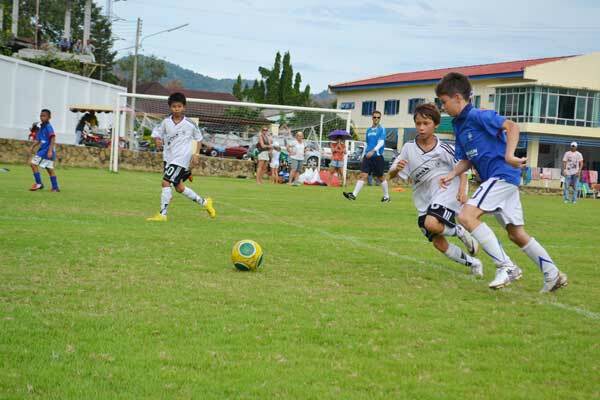 In the under-11 Division, spectators were treated to three hard fought games. In the first match, France had seemed certain to take the three points after going two goals clear against Germany White, but the Germans clawed their way back to claim a share of the spoils in a 4-4 draw. The second match saw Brazil win 4-0 against a dogged Argentina, with some inspired goalkeeping and opportunistic striking helping the Brazilians earn the big win. The last match in the U-11s saw the ‘All Girls’ team of Thailand come up just short despite a good effort, losing 4-3 to a confident Germany Green team. The under-14’s matches were a little more one sided, with Germany Green continuing their fine form with a 7-3 win over Brazil, and France downing Argentina 6-3. Thailand also achieved their first win of the campaign with a 7-3 drubbing of Germany White. The next round of the Fair Play League will be played on Sunday, February 5, at BIS.